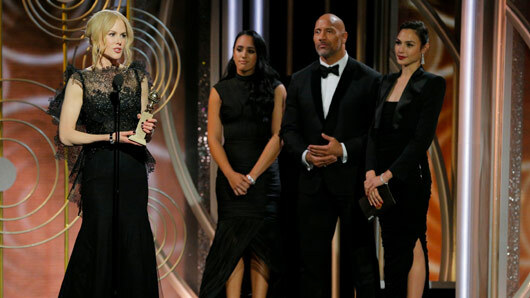 The 75th Golden Globe Awards saw an empowering ceremony as figures in the industry honoured the victims of recent sexual harassment scandals in Hollywood. With stars wearing wearing black to honour victims, Seth Meyers began proceedings with a speech referencing the disgraced Harvey Weinstein and Kevin Spacey. Oprah Winfrey later said “a new day is on the horizon” as she collected an honorary award. The evening also saw some major historic wins, with Aziz Ansari becoming the first actor of Asian descent to win Best TV Actor for Comedy or Musical and Sterling K. Brown stating, “I feel a tremendous sense of pride” as he became the first black actor ever to win Best Actor in TV Drama. The evening’s biggest winners were Big Little Lies and Three Billboards Outside Ebbing, Missouri, winning four awards each.